The second recording by Cross Ties, “Wonderful Over There”, was released in May of 2005. 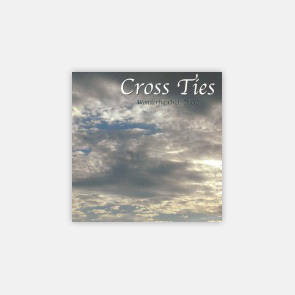 As with “Makin’ Tracks”, this CD gives a taste of the wide variety of The Cross Ties Band’s musical influences – from Jon Ellis’ original, “Where Will You Be?” to the Celtic-style “Joy of My Life”. Also, not to mention Randy Ellis’ soulful harmonica on “Life’s Railway to Heaven”. It was the pleasure of Cross Ties to name the CD after “It Will Be Wonderful Over There”, a song penned by Georgia Gospel Music Hall of Fame composer, Mildred S. Johnson, at the age of 95, written especially with Cross Ties in mind.